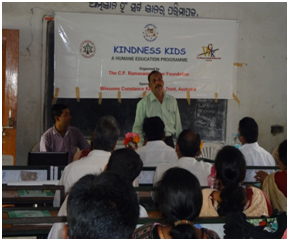 A one day teacher’s workshop on KINDNESS KIDS was held on September 10, 2015 at Balagandi High School, Balagandi, Puri, Odisha by The C.P.R. Environmental Educationb Centre. 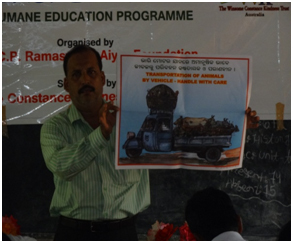 The resource person was Sri Nihar Ranjan Mansingh, Inspector, SPCA, Chief District Veterinary Office, Puri. Mr. Mansingh is an environmentalist. 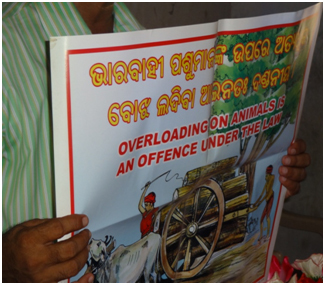 He spoke about animal cruelty with special reference to animal sacrifice in temples on the eve of different festivals in Odisha. 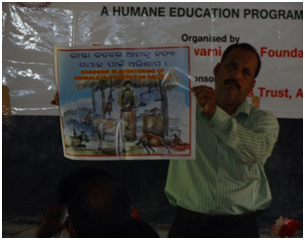 He showed different posters of his collection about animal cruelty and the participants gave a positive response. 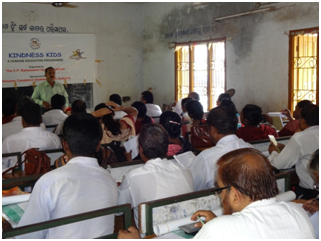 The applause received from the participants made the workshop a grand success. This entry was posted on October 10, 2015 by KindnessKids.